Fall Favorites from Sally Hansen and Rimmel London! You are here: Home / Beauty and Fashion / Fall Favorites from Sally Hansen and Rimmel London! Here are my Fall Favorites for Nails, Eyes and Skin! THINK: Protective armor for nails. WHAT IT IS: The original nail clinic in a bottle. 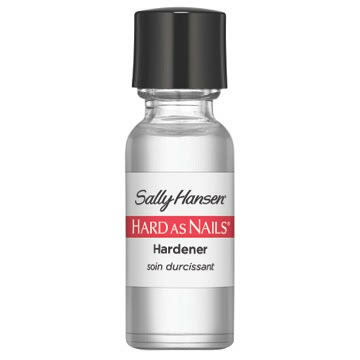 Give your nails the ultimate fortifying treatment with Hard As Nails, a Sally Hansen essential developed to strengthen and support nails. Created to help prevent chipping, splitting and cracking, the multi-tasking formula can be used alone, as a base coat, or as a top coat to seal and protect your manicure. Salon-tested and dermatologist-tested, Hard As Nails provides powerful, long-lasting protection to help nails grow. HOW TO USE: Nails must be clean and free of nail enamel, oil and cream. Apply 1-2 coats to clean dry nails. Brush around nail edges and under nail tips. I love how well this really works! My nails do not ship as easily so I highly recommend! THINK: Lashes so big, lush and flirty, it’s scandalous. WHAT IT IS: Lashes that get the rumor mill going. Don’t be surprised to find yourself at the center of a scandal with this mascara: Everyone will be whispering that your lashes must be fake when you wear Rimmel London SCANDALEYES Mascara. From the supersized brush to the collagen- and keratin-boosted formula, everything about SCANDALEYES is designed to raise eyebrows and get people talking. Volume Flash SCANDALEYES Mascara: Getscandalous lashes that cause a stir with this ultra volume-boosting formula, developed to give even the skimpiest lashes a shaped, plumped, exaggerated finish. The secret? SCANDALEYES Mascara is made with a supersized blend featuring triple the collagen and keratin* and a flexible new MaxDensity brush that’s longer, wider, denser and 50% larger than Rimmel’s biggest brush. Instantly captures and plumps each and every lash. This mascara is my new to-go-to mascara! I use it every day! Self Disclosure: I received free products to facilitate this beauty post. Photos and info provided.